If you are in the state of Gujarat and are looking to spend some time away from the crowd and the disturbance of the city life, then Modhera is a place you must visit. Apart from the scattered greenery of Modhera, you can see several historical spots. Prominently, famous for its 11th-century Sun Temple built during the time of the Chalukya dynasty, Modhera is definitely a weekend getaway from Ahmedabad to explore the rich history and culture of the state. Read on to know more about Modhera and how to reach this beautiful place from Ahmedabad. The region around Modhera experiences a hot semi-arid type of climate; it is comfortable to visit Modhera from October until the end of March, when the temperature conditions are optimum and favourable. Avoid visiting during the summer season if you want to explore the town pleasantly. By Air: You can take a flight to Ahmedabad airport and then from there you can hire a cab to Modhera. By Rail: The nearest railhead is at Ahmedabad, which is at a distance of around 100 km from Modhera. By Road: Modhera is easily accessible from Ahmedabad and other cities by road. You can take a cab or catch a bus from Ahmedabad to Modhera. If you are driving on your own, you can take the route via Kalol. 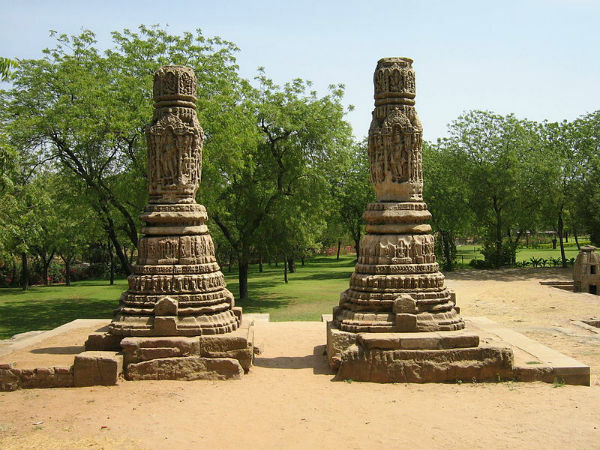 While on your way to Modhera from Ahmedabad, you can take a break at Kalol and feel relaxed. Kalol is a historical city in the Gandhinagar district of Gujarat and is also known for its natural marvels in the form of beautiful birds. Kalol is popular amongst tourists for its Thol Lake, which is home to numerous flamingos and sarus cranes. Apart from enjoying its lake and bird sanctuary at Thol, you can also visit Adalaj Stepwell, which is a historical monument situated about 10 km from Kalol. So, why not take a break at Kalol and explore its surroundings amidst the beautiful marshes of Thol and the stepwells of Adalaj? Located in the Mehsana district of Gujarat, Modhera is famous amongst locals and tourists for its rich history, culture and undoubtedly, the Sun Temple which has been attracting tourists from all over the country. Take a look at the legendary work of the temple and find yourself stunned by the amazing work of architecture. Unarguably, the Sun Temple at Modhera is the major tourist attraction throughout the year and hence, is the splendour of Modhera. Located on the banks of Pushpavati river, Modhera is an ancient marvel which is still standing strong with its temples, tanks and pillars, showcasing the progress and prosperity during the era of the Chalukya dynasty. Built out of sandstone, the Sun Temple is an impeccable form of architecture and the flawlessly carved pillars and walls stand as a testament to the fact. In front of the temple, there is also a reservoir known as Suryakunda. Being dedicated to Lord of Sun, the Sun Temple attracts thousands of Hindu devotees every year. It has also become a stoppage for architects who keep on scrutinising its intricate patterns over the walls, pillars and ceiling.